For a limited time only, save up to 35% off select European sailings and enjoy a reduced 10% deposit - offer only applies to the 12Jul19 sailing. Experience luxury for less with Regents extraordinary savings on select sailings. 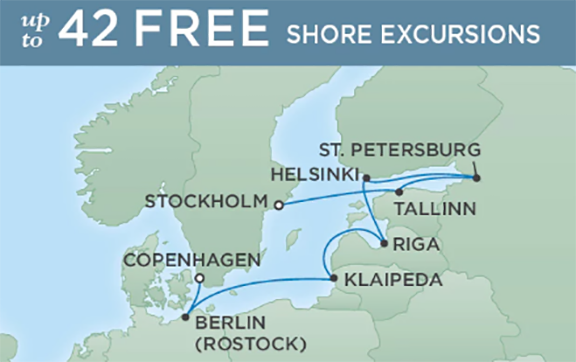 Regent Seven Seas Cruises offers your family great savings for children age 17 and under on select voyages. "European Masterpieces" special offer only applies to the 12Jul19 sailing. For further inquiries, please consult with your travel specialist. For a limited time only, save up to 35% off select European sailings and enjoy a reduced 10% deposit. Please Note: Offer only applies to the 12Jul19 sailing.